Hey everyone! It's Candace from Candi O. Designs and it's my day over at Jaded Blossom! 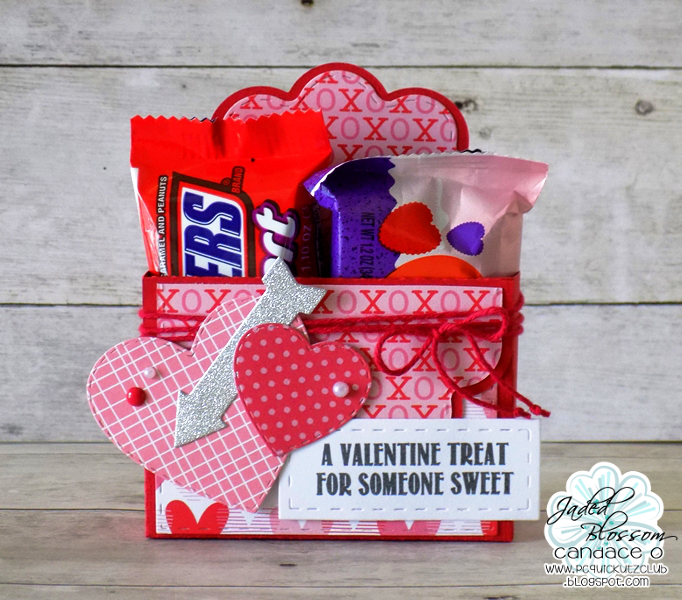 With Valentine's Day just around the corner, I made a couple of treats and a shaker card for my projects today. 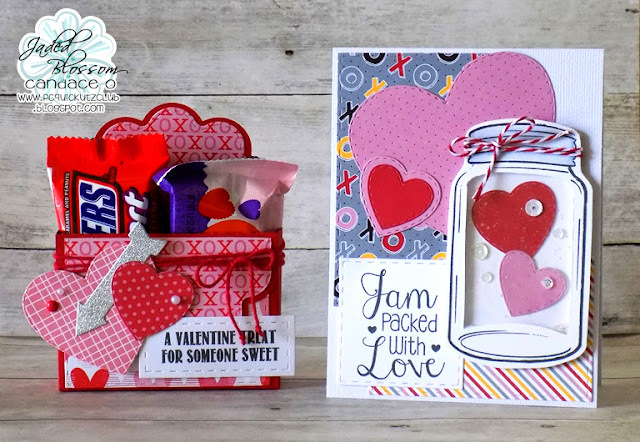 JB has some super cute stamp sets and dies that are perfect to show your "love"!! 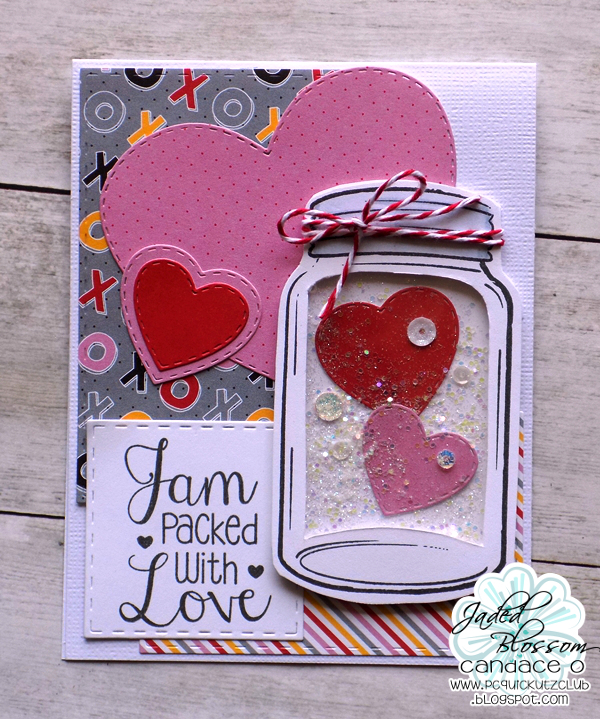 First up I made a shaker card using the jar stamp from Spread the Love (revamp). I stamped the jar twice, cut each out and then cut out the center of one to make the shaker. I forgot how fun shaker cards are to make!! 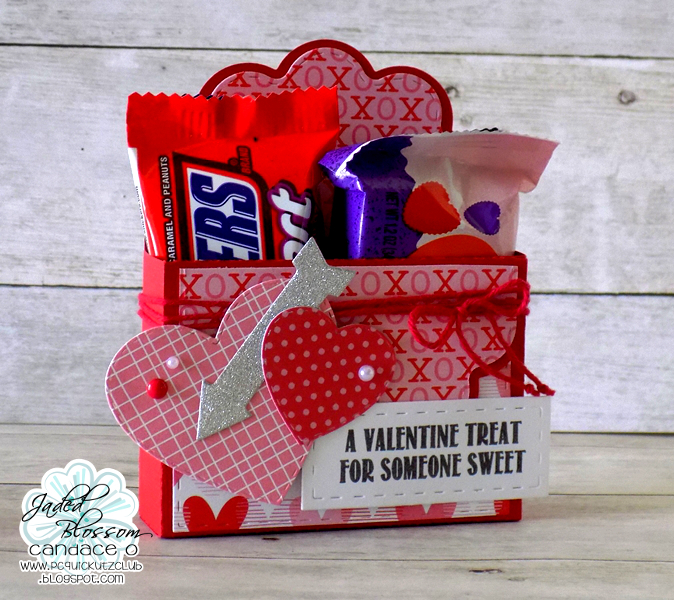 Next, I created this holder from the Scallop Caddy Die, it fits two small candy bars perfectly!! 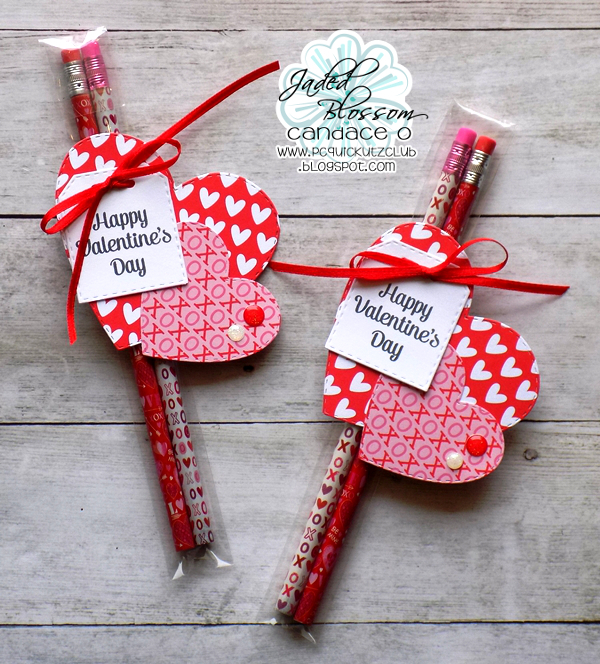 These are my son's favorite so he'll get this on Valentine's Day! Lastly, I whipped up these pencil treats for my daughter to give friends at school. Super quick and easy treat ~ 2 pencils fit in the 1x8 bags! WOW!! Love all the FABULOUS projects! 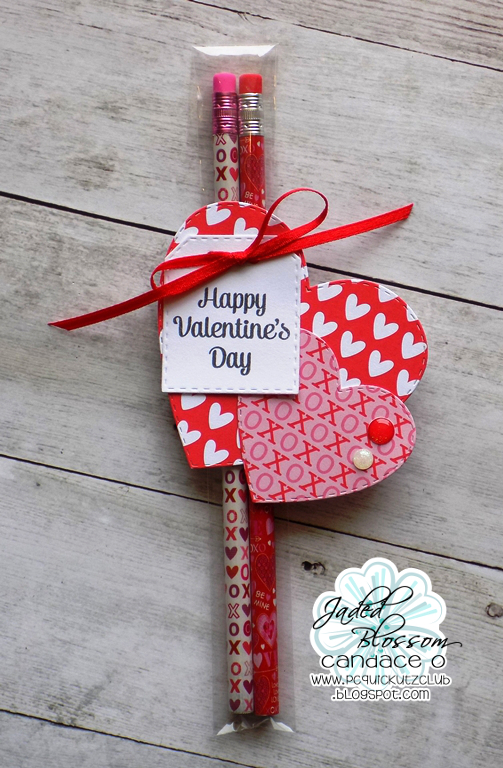 Great inspiration for Valentine's Day!